As part of its efforts to combat the opioid epidemic, the U.S. Food & Drug Administration is asking manufacturers of over-the-counter anti-diarrhea treatments to change the way they package their products. 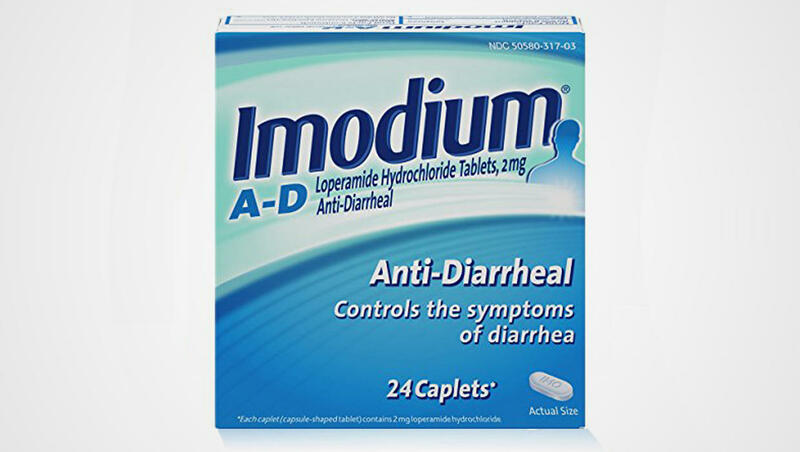 The FDA says the voluntary measures are needed to curb the growing abuse of loperamide – sold under the brand name Imodium A-D, as well as store brands and generics – which is used by some suffering from opioid addiction as a potential way to manage withdrawal or maintain a high. Loperamide is safe at approved doses, up to a maximum of four 2-milligram tablets per day without a prescription. "But when higher than recommended doses are taken we've received reports of serious heart problems and deaths with loperamide, particularly among people who are intentionally misusing or abusing high doses," FDA Commissioner Scott Gottlieb, M.D., said in a statement. Experts say it takes an enormous dose of anti-diarrhea medication to get high. Addicts have been found to be popping anywhere from 50 to 300 pills per day. According to a 2016 study published in the Annals of Emergency Medicine, Imodium A-D, in massive doses, works in the body the same way as heroin, morphine, and oxycodone. However, Imodium A-D is a cheaper alternative since some big box stores sell 400 tablets for less than $10. "Folks that are desperately addicted, folks that are looking to stave off withdrawal symptoms will do whatever it takes sometimes, really extreme things," Dr. Jeffrey Reynolds, of the Family and Children's Association, told CBS New York at the time that study was published. "So in the scheme of things, taking 300 pills is not unheard of." Dr. Robert Glatter, an emergency physician at Lenox Hill Hospital in New York City, says he has encountered patients who abuse loperamide either to get high or to self-treat symptoms of opioid withdrawal. "Many people view it as low risk since they think it's only medicine to treat diarrhea," he said. "But those who abuse it to get high are gambling with their life, in essence. Simply put, escalating use may place you at risk for an overdose." In the spring of 2017, the FDA added a warning to the product label to warn against ingesting high doses of loperamide, including from abuse and misuse. This week, the FDA sent letters to manufacturers asking that they take additional steps, including limiting the amount of loperamide per package for short-term use. For example, a retail package could contain eight 2-milligram capsules – enough for two days. "We asked the manufacturers to take the necessary steps to implement these changes in a timely fashion to address these public health concerns," Gottlieb said. He said the FDA also intends to reach out to distributors who sell loperamide online to ask for their cooperation in limiting the quantities sold. "We know that many of the bulk purchases of these large volumes are being made online through major online web retailers," Gottlieb said. Glatter said he "applauds the FDA for adding restrictions to packaging that can help to protect teens and adults who abuse loperamide." But he adds that more needs to be done to raise awareness of the problem. "It also starts with education, and informing parents and teens via social media platforms of the dangers of loperamide abuse."